Hamster is bringing SNK's 1994 title Samurai Shodown II to the Switch eShop. If the first game was revolutionary this first sequel somehow managed to surpass expectations thanks to gameplay refinements such as the very welcomed inclusion of rolling and ducking which enable you to safely dodge incoming projectile attacks. You may even have the honour of being challenged to fight against the game's iconic umpire, Kuroko! The old roster has been expanded with four new comers joining up with all the original cast: no-nonsense Genjuro Kibagami would become a recurring character in the series; Tam Tam got replaced with the cute catgirl Cham Cham and her monkey sidekick Pako Pako; Neinhalt Sieger (which translates from German as "non stop winner") is spreading peace and love by punching people with a giant steam-powered iron fist and finally there's the hilarious Nicotine Caffeine, who was named after those same nasty habits sported by game director Yasushi Adachi. You can add some over the top "Engrish" to round up the whole package. While still on the subject of translations, the original Japanese name for the game is Shin Samurai Supirittsu: Haōmaru Jigokuhen which translates as "True Samurai Spirits: Haohmaru Hell Change" which we still believe around the NL office is a reference to Haohmaru's very bad hair day displayed in the game's cover. There is no other way around this: Samurai Shodown II remains the finest game in whole series. Any fond memories of this one back in the day? Will you be slashing you way to the eShop on February first? Fight fair in the comments below. Finally! Getting this for sure! I wonder if we will go to V Special one day? Classic, my next Neo Geo game right here. Only reason I won't be getting this day 1 is due to owning the Wii VC version (even if that version does have strange display issues). 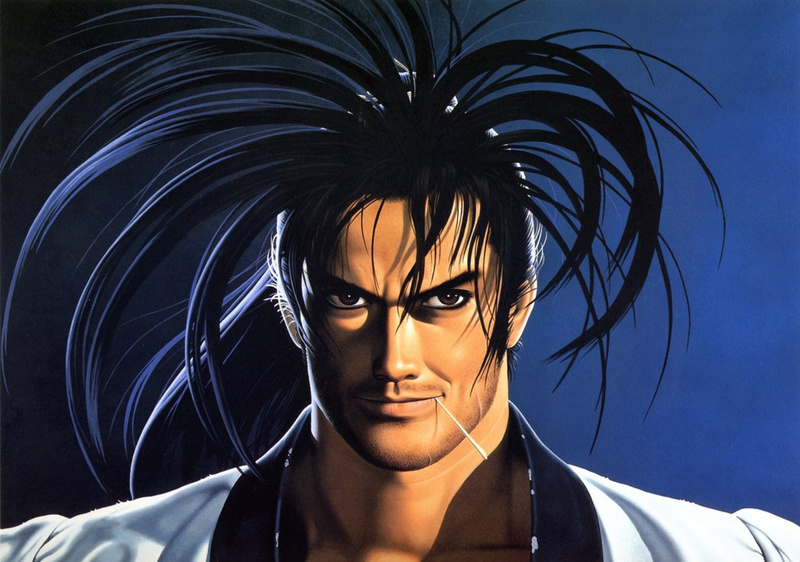 No brainier if you never played Samurai Shodown II. Worth it just for the Engrish translation intro. The troubles are happening again. @YamAsereht That's why I stopped collecting NEOGEO games on the WiiVC. A lot of those display issues and missing effects came from the aggressive anti-seizure measures Nintendo put in the emulation. Baseball Stars 2, Samurai Shodown 2, and others missed their full-screen flashes. SS2 is especially worse, no flashing life bar when life is in the red, no 'shimmering' blades, Mizuki's hand slaps lost so many frames of animation it almost looked like still frames. It was pretty bad. I expect all those frames to return with the ACA release or else heads will roll! Wow, so this is considered the best one? I'm a newbie to the series but loved III, it quickly became a favourite. Can't wait for this one then! I have this for my neo geo aes and mvs bit will pick this up the switch. So that I can play it on the go. There is an Alien xenomorph being cooked in Genan's stage. @masterLEON Ouch didn't think those display issue badly effected animation as well. Really glad now, some of those Neo Geo games didn't come out for Wii outside Japan, the Switch ports are much much better, which I first noticed after re-buying KoF 99 and 2000. Not long until you can play every Samurai Shodown on Switch if they continue like this. Love these games. Yep, here is my eshop card money...what the game isn't ready yet? How about I slip you an extra dollar? Why are you calling security? An amazing fighting game that I would recommend to any fan of the genre. Another NeoGeo gem that I would buy day one. Good to see this one finally make it over by Hamster. SS2 is a favorite of many and was a big step forward for this series and SNK. I prefer the fourth game for various reasons, but part two is a quality game. I just got The Last Blade and I was on the fence between it and SS IV because the 2nd wasn’t available. I’m glad I didn’t pick it up then. 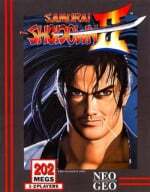 Samurai Shodown II is not only the best Neo Geo fighting game, it's arguably the best fighting game of all time. This is actually one of two games I have in actual hard copy for a real deal Neo Geo AES. The other one....is actually Samurai Showdown 1! @Alexprime ah, thank you. I love that series. Finally. This is the only ACA fighting game I have been looking forward to at this point. Great game, I won’t be buying it as it seems to be released every other week by Nintendo . I’d love a reboot of the series with a brand new and awesome entry. Awwwwwwwww,yeeeeeeeeeeah! Saki spitting, apple slicing fun time! Love this game. Bought a Neo Geo CD console mostly just for this game back when it was new. @ogo79 Thanks, just pulling my weight around here, it's a team effort really. Oh boy!!!! Samurai Shodown 2 is sure to be a hit at Switch gatherings!!! Also did anyone else notice Magician Lord is back on the U.S. Eshop?!??? I need to pick that up tok before it disappears again!!!! @CurtBro PSimP? In spite of Google-ing I don’t get the reference? But I would like to! Anyone know what other Neo-Geo games are coming down the pipe for February? There are still plenty of interesting and fun titles on the system yet be brought to the Switch. 2020 Baseball is coming after this one but no idea what's next after that. Anyone? This is by far my Favorite Fighting Game of All Time!!! The Animations on SS3 were nice, but they changed the game mechanics from that point forward , while SS4 lost it's Fluidity from SS3.